Last Thursday, January 12th, UCLA Anderson hosted its third annual CES® conference on our campus, organized by the UCLA Anderson Easton Technology Management Center, in association with our technology student club, the Anderson Tech Business Association (or "AnderTech", as our students commonly refer to it). We had a diverse mix of individuals who participated and attended, including many from startups in Los Angeles, Silicon Beach, and the UCLA Anderson community. 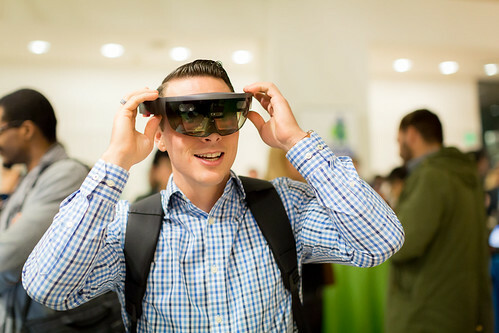 Exhibitors, some of which were from CES Las Vegas 2017, represented a wide array of groundbreaking technologies, including virtual/augmented reality, wearables, autonomous vehicles, smart homes, and more! Keynote addresses were delivered by some of the top industry leaders, including both Neil Sahota, worldwide business development leader and master inventor at IBM Watson Group, and Ravi Sawhney, founder and CEO of RKS Design and LoanGifting. View a slideshow of pictures from this year's CES @ Anderson!